The Board of Management and staff send their best wishes to their hardworking and committed sixth class girls who graduated from Our Lady of Mercy primary school last Tuesday night. They have steered many initiatives throughout the school during the year and helped us to secure our first Amber flag for positive mental health. 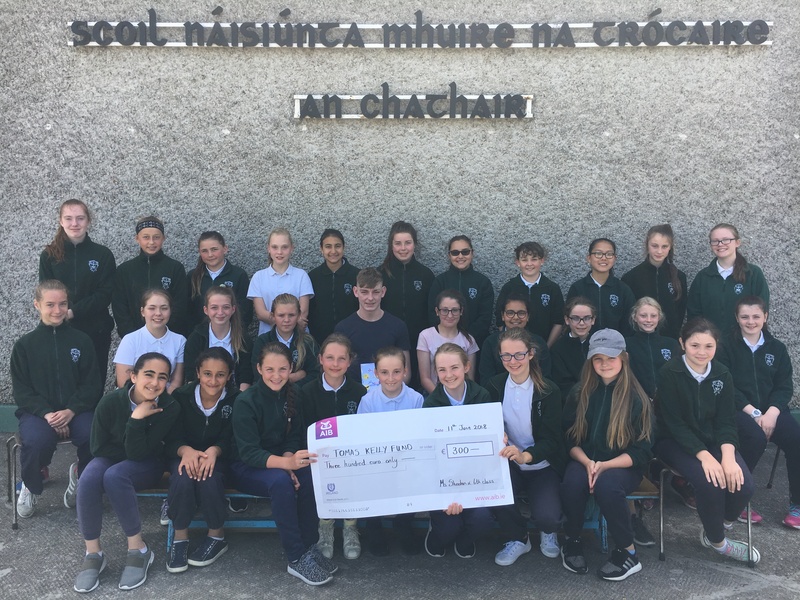 Their most significant achievement was the record breaking €1,630 they raised for Pieta house. They donated €300 from their Confirmation money to the Tomas Kelly fund and they are pictured presenting the cheque to Eoghan and Sarah Kelly. The staff in Our Lady of Mercy school wish them continued success at second level. Well done and thank you girls.